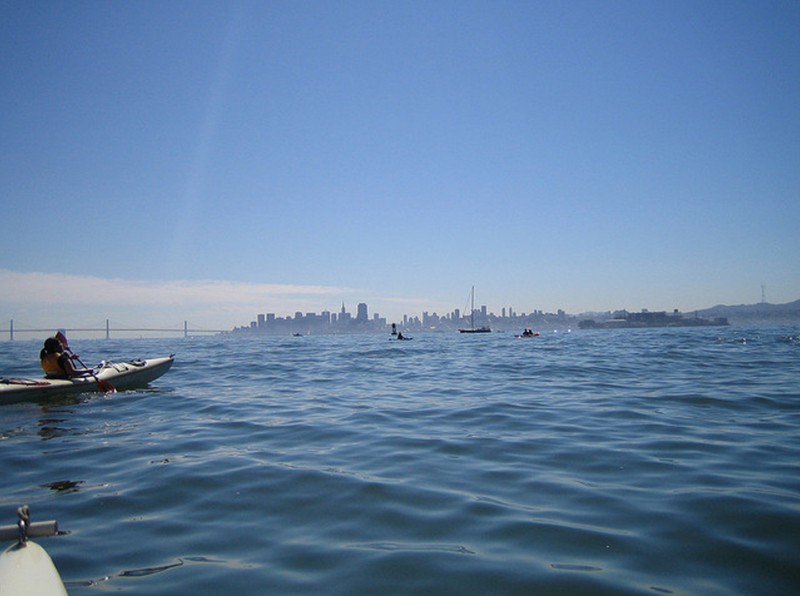 For an adventurous weekend, paddle out to Angel Island with some friends and spend the night on its sandy shores. 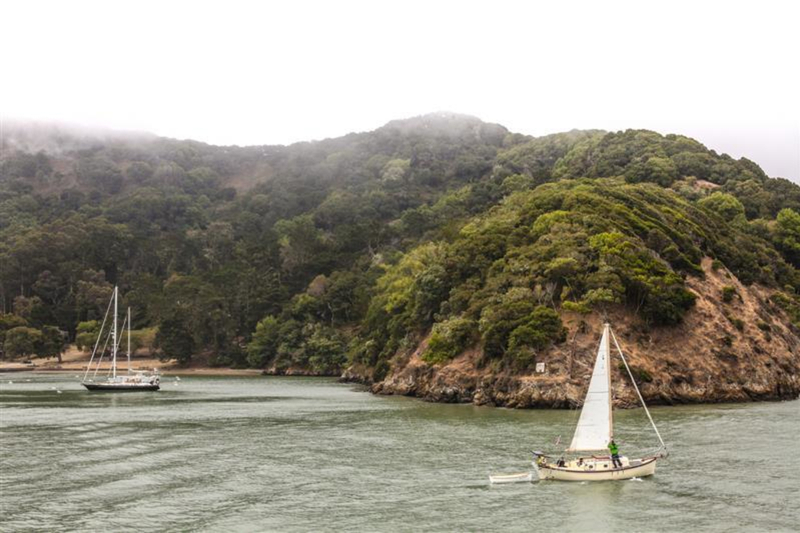 For an extended paddling adventure, consider Angel Island State Park. 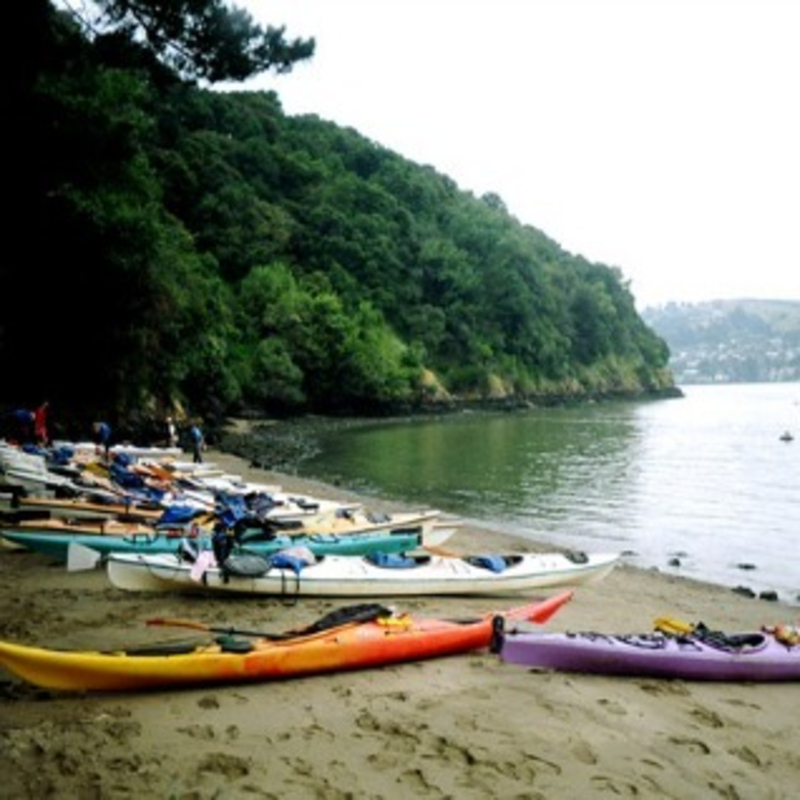 Located in the middle of San Francisco Bay, the kayak-in campground at Angel Island is a wonderful place to spend a weekend paddling, camping and hiking. It can be challenging, though, because the short trail from water's edge to the campsite is steep and hard to find. Permits are required for all of the campsites. Or, just make a day-trip out of it and kayak to the island or around the edge, and back. On the island’s western shore, there are fantastic views of the Marin Headlands and Mount Tampalpais. 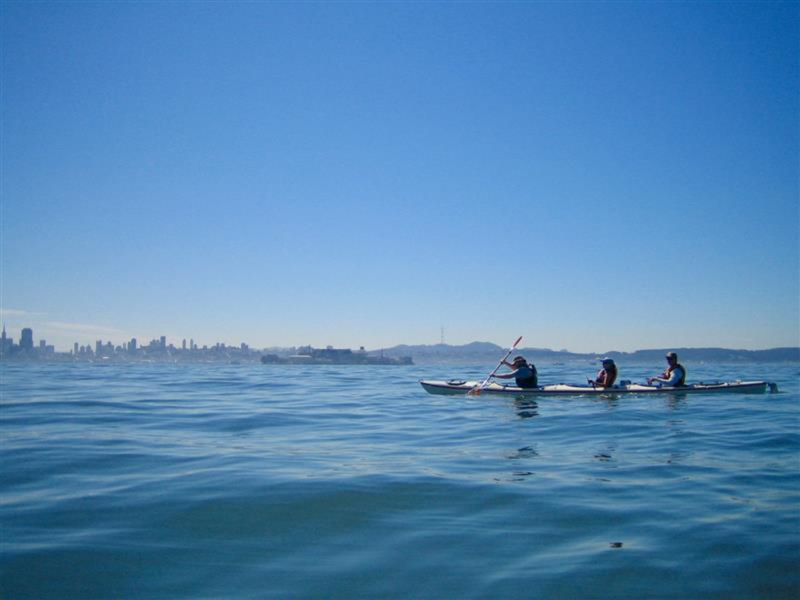 The journey to Angel Island crosses open water and encounters currents that may be challenging to many paddlers. The current in Raccoon Straight can be particularly daunting for novices. Make sure your skills are appropriate for the conditions. This paddle isn't for beginners. Casual paddlers should go with a guide company or with more experienced kayakers. Currents can be strong and if the fog rolls in, navigation can be challenging. That said, it's a wonderful little secret right in San Francisco that is worth a visit. Camping during the shoulder seasons is especially fun - it will feel like you are farther away from the city than you actually are! You can start your adventure from several places on the mainland, one is Tiburon Uplands Nature Preserve at 3079 Paradise Dr, Tiburon, CA 94920.